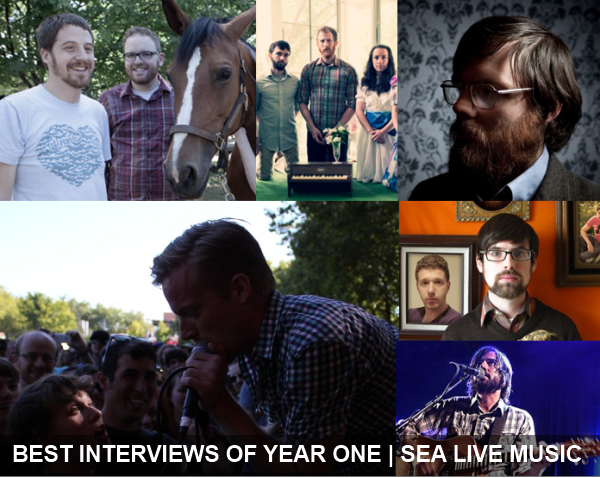 Exactly one year ago, SEA live MUSIC ceased to be just something that lived in our minds to something that lives on our computers, your smartphones and our moms’ lists of “favorite sites.” Some 238 posts later, we’re 365 days older and more in tune with the nearly infinite reasons that make Seattle one of the best music cities of all time. Over the past year, we were lucky enough to interview some of our favorite musicians passing through town, more than a few who call our fine city home. Without further ado, scroll down the page and take a stroll down memory lane with our favorite out-of-context quotes from the past year. A huge thank you to all of the musicians who have been kind enough to take time out of their long drives and busy schedules to talk with us. And of course, thank you to you, our readers, for your support over the past year. Here’s to a great Year Two! Congrats on a successful first year!! !